Art and Soul, in collaboration with HoneyGuide Apps had a wonderful time colouring with the kids of DOCS Nepal on Sept 11, 2015. The colourings were used as props for the promo video of HoneyGuide. The colourings were also displayed at the Photo Exhibition organised by HoneyGuide at Nepal Art Council on 2nd-4th Oct 2015. 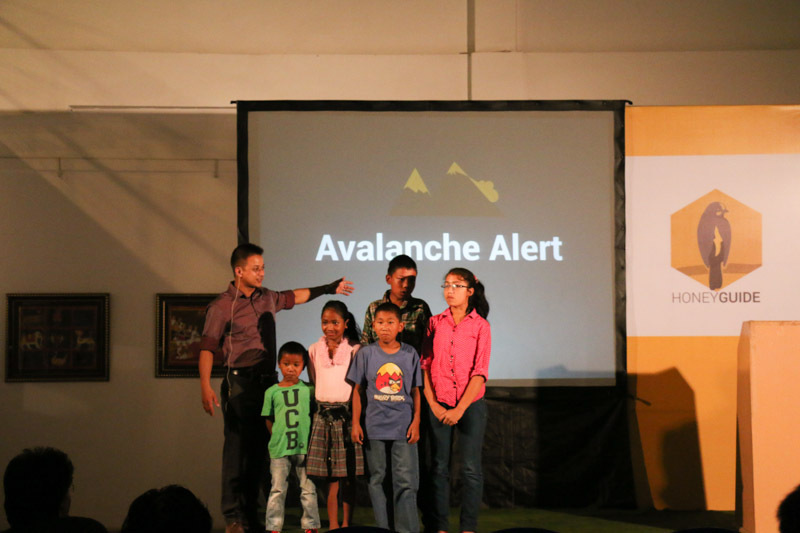 We also managed to take 5 kids to the HoneyGuide App launch program.